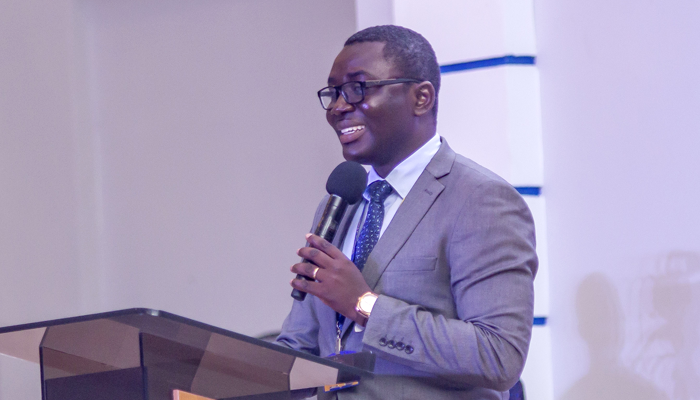 The Youth Ministry Director of The Church of Pentecost, Apostle David Nyansah Hayfron, has observed that the youth plays a key role in possessing the nations’ agenda of the Church. According to him, research has shown that only 4% of people who accept Christ do so after age 25, meaning that 96% of decisions to accept Christ is done during childhood or youthful stage. He, therefore, called on youth workers to AIM LOWER by focusing on the younger ones, THINK SMALLER- by focusing on smaller groups, GIVE UP- on the usual methods and be creative in finding productive ways of winning souls, and TAKE A BREAK – on the unsuccessful procedures to wining the youth for Christ. Apostle Nyansah Hayfron said this in a sermon during his recent visit to the Obuasi Area on Saturday, 30th March, 2019, at Bidieso Central Assembly auditorium which was attended by 1,112 youth members. Speaking on the topic, “The ‘Elishas’ of God are Here” based on Proverbs 20:29, 1 Kings 17, 1 Kings 18:41 & 2 Kings 2:18, he noted that the Spirit of God is able to come mightily upon the youth and strip away all youthful weaknesses to turn them into mission forces. Touching on the ministry of Prophet Elijah, Apostle Nyansah Hayfron noted that Elijah was ALSO A MAN just like the youth of today (James 5:17); he was a MAN OF PRAYER to be able to declare to King Ahab to go home, eat, drink and wait for a heavy rainfall after three years of drought and no sign of any cloud even in the sky- proves that he had prayed and was very sure of the occurrence of his declaration (1 Kings 17: 1). The Youth Director further said Elijah was a WORD-BASED PROPHET, because his declaration was based on the Word of God which says, “The anger of the Lord will be kindled against you and He will shut up the heavens if the people do not obey my commandments” – Deuteronomy 11:17; and that Elijah made Israel know that God is in charge in all his seven major miracles. Apostle David Nyansah Hayfron added that Elisha started from where Elijah ended, and that Elijah’s last miracle was Elisha’s first miracle. Elisha later performed double the number of miracles of Elijah. He concluded the sermon by challenging the youth of the Church to do exploits as they take over the mantle of leadership from their leaders.